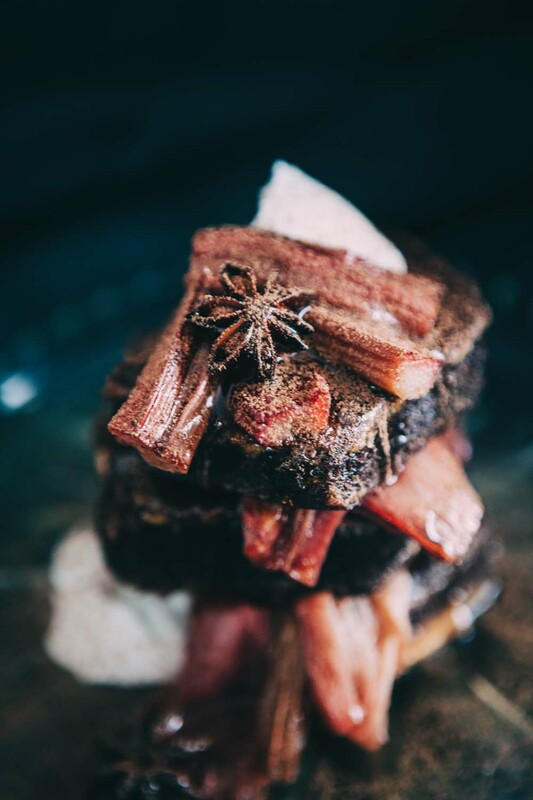 Sheryl has created this decadent recipe especially for Easter, it’s delicious and combines some beautiful flavours! And hey you could always drizzle it with some raw chocolate sauce if you really needed a chocolate fix. 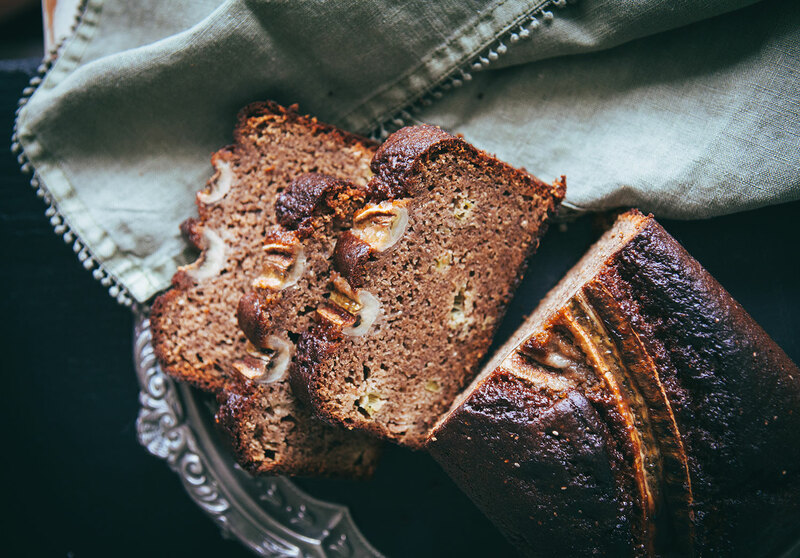 The Banana Rhubarb Bread recipe is here. One thick slice per person is enough for the french toast. The recipe is for 2-3 people so 3 slices of the bread. 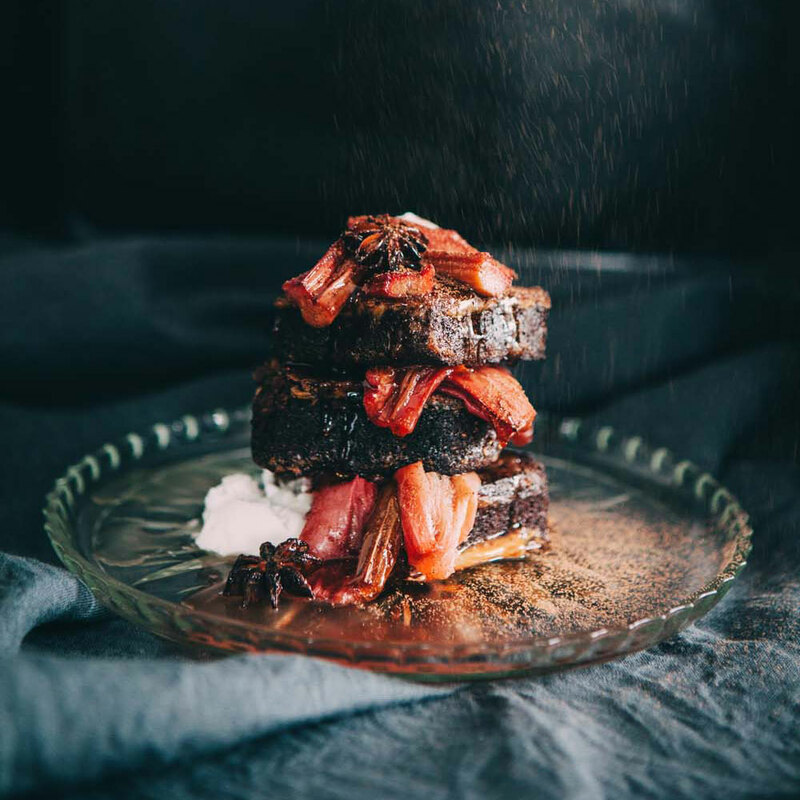 We’ve served the bread with roasted Rhubarb which is divine but you could also serve it with berries, feijoa, apple, pear or just slices of fresh banana. or more if you’re really hungry! Mix well, soak your banana bread slices on both sides in the egg mixture. Heat a tablespoon of coconut oil in a frypan over a medium heat. Add the bread and cook on each side until golden brown. 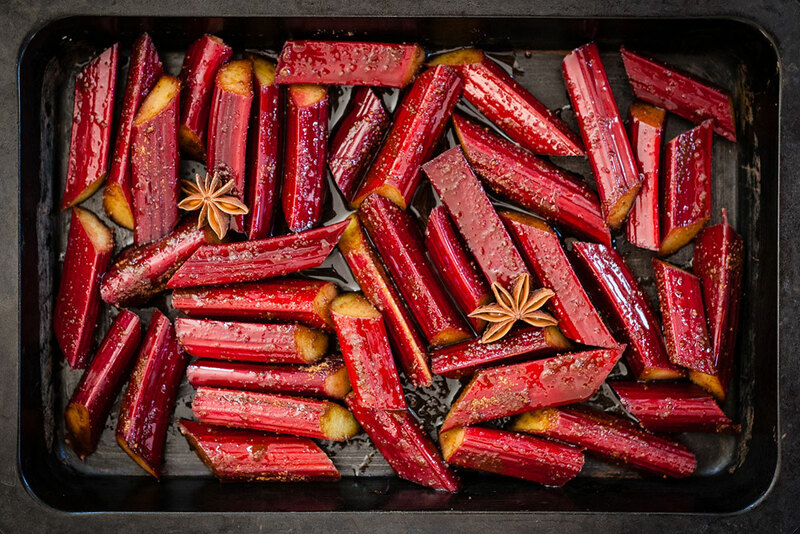 Mix together all of the rhubarb ingredients including the rhubarb pieces. Spread out in a baking tin and roast for 15 minutes. Remove from oven and set aside. 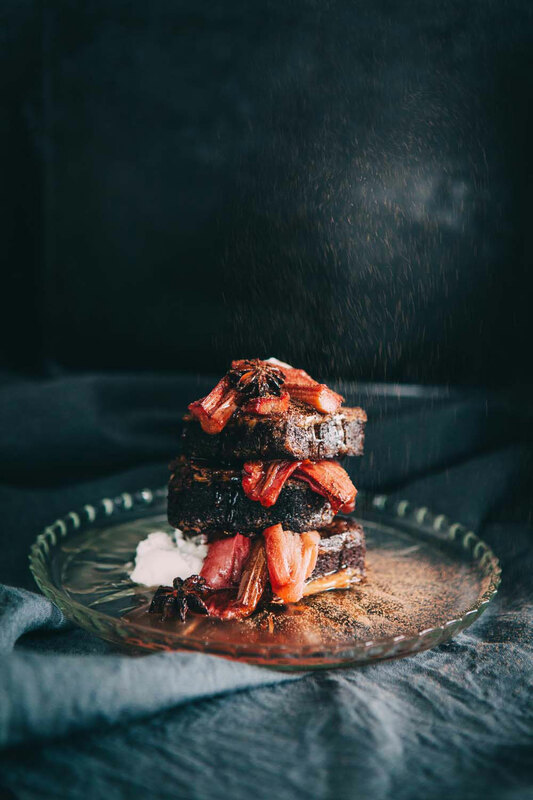 Cut the Banana Rhubarb French Toast in half and stack with roast rhubarb between and on top. 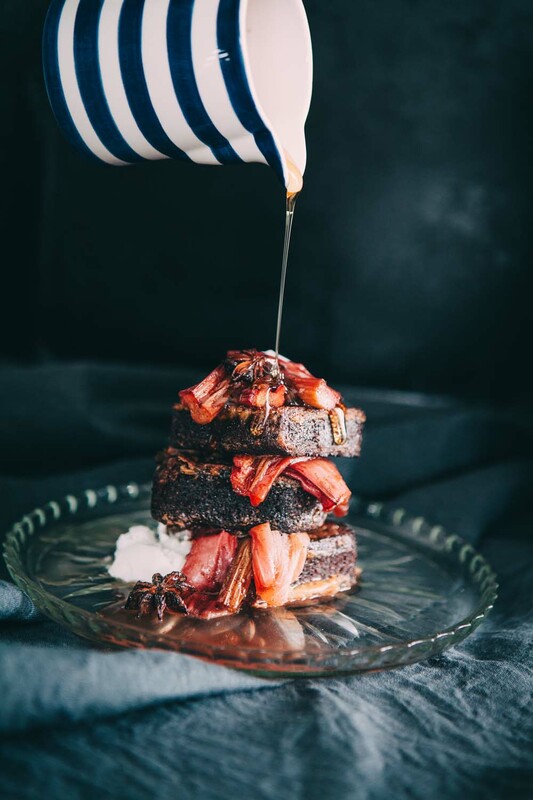 Drizzle with warmed organic Rice Syrup or Maple Syrup. Dust with a little cinnamon. Serve with a dollop of coconut yoghurt (dairy free).